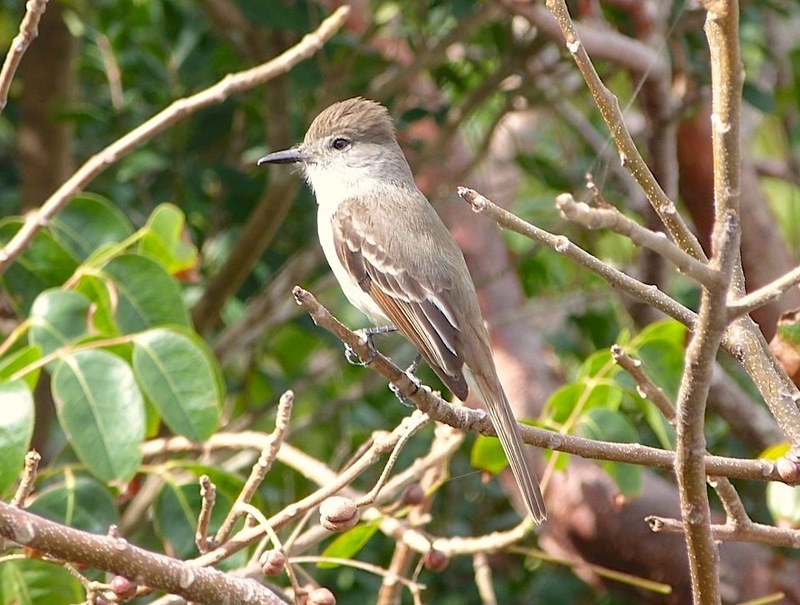 LA SAGRA’S FLYCATCHER Myiarchus sagrae is one of 3 permanent resident ‘tyrant’ flycatchers found on Abaco, the others being the CUBAN PEWEE and the LOGGERHEAD KINGBIRD. 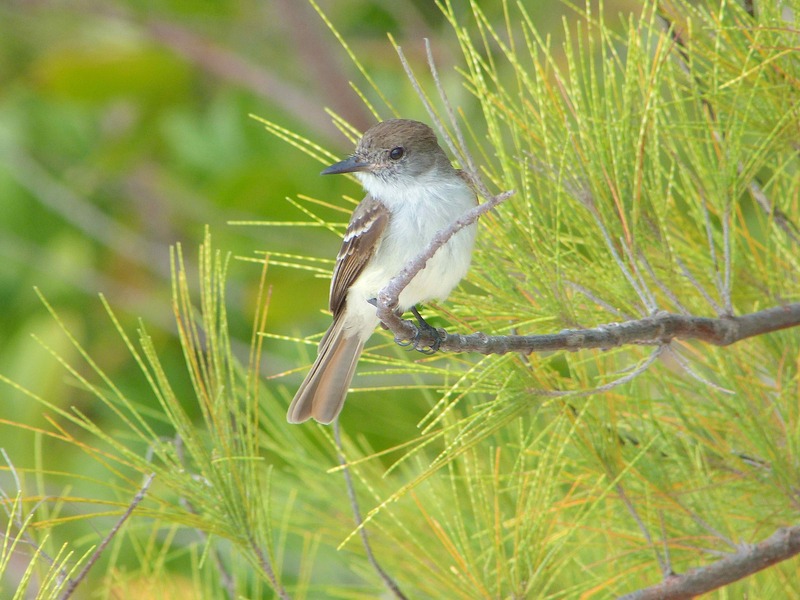 In the summer, they are joined by another commonly-found species, the GRAY KINGBIRD. 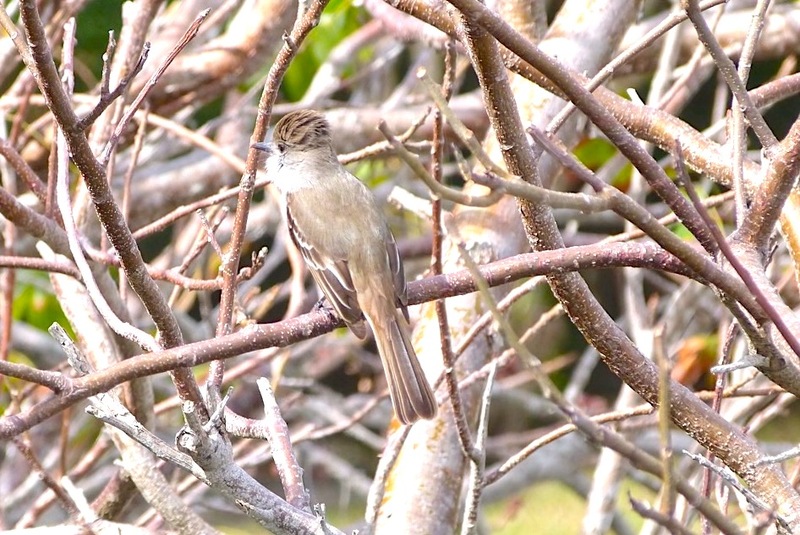 There are other flycatchers, but they are seasonal, transient or vagrant, and far less common. 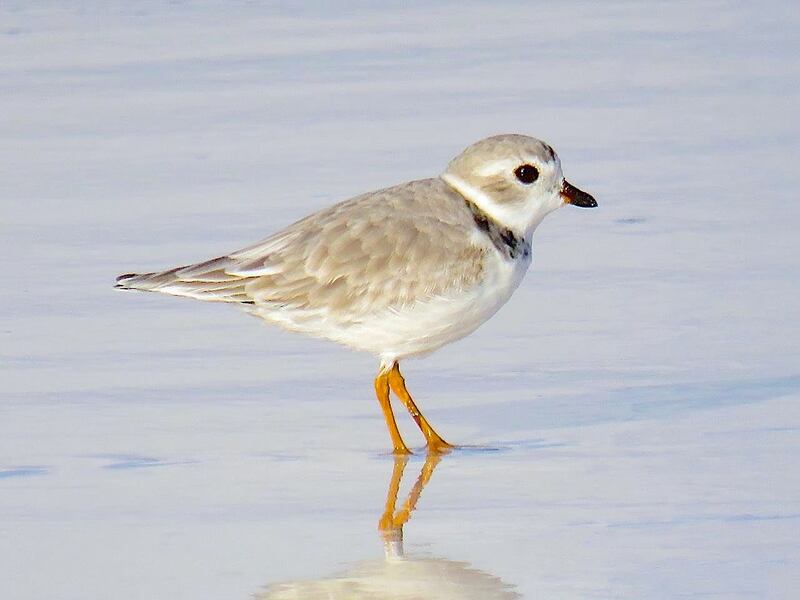 I have just been watching one of these frankly rather very cute little birds as it patiently watched me watching it. 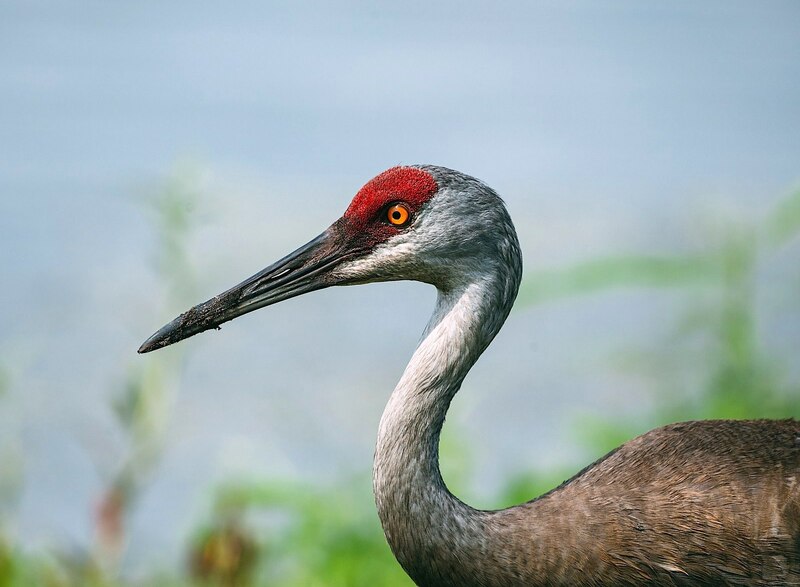 I wasn’t very close, and I kept my distance because it seemed a little wary and I didn’t want to blow the chance of a couple of photos – the familiar ‘bird-flies-off-just-as-shutter-pressed’ syndrome. 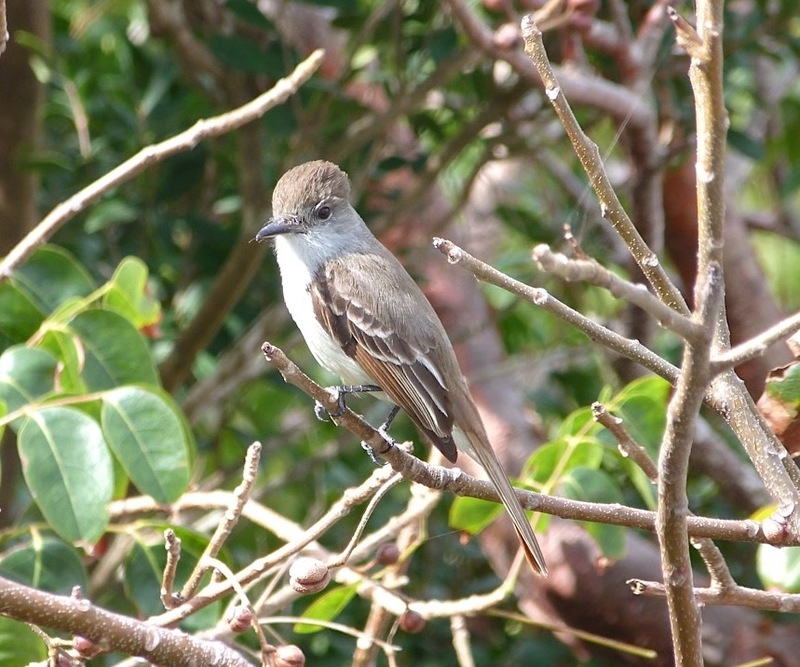 Sized between the little cuban pewee, with its diagnostic crescent eyes, and the larger loggerhead kingbird (see below), the LSF shares with them the ability to raise its crest. 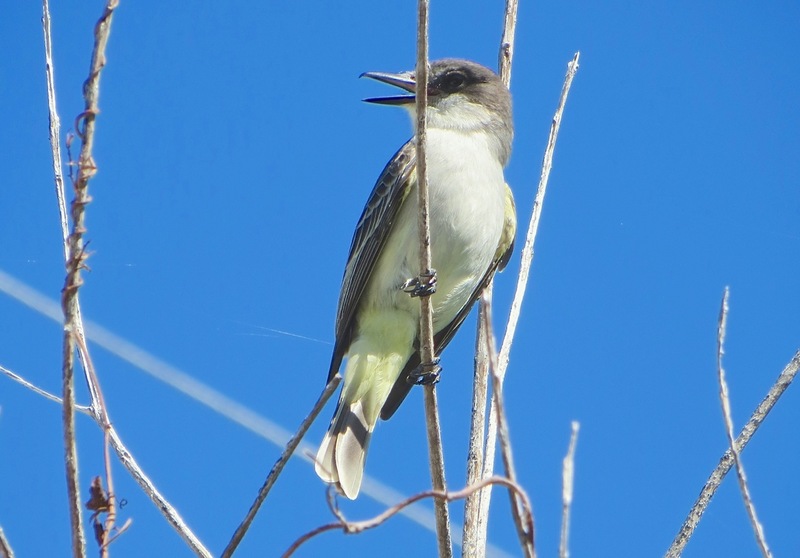 I was luckily able to catch this on camera – and also some singing. 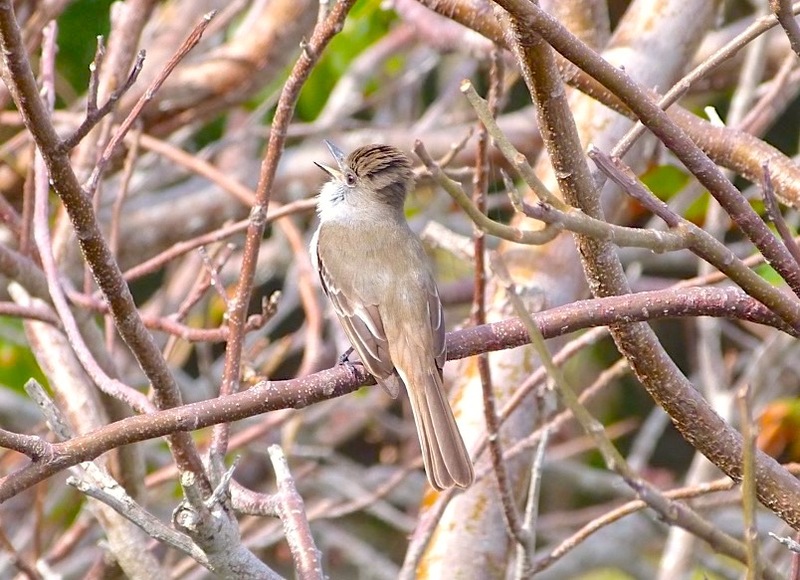 As the name suggests, the species is primarily insectivore, fly-catching in the undergrowth and low scrub or ‘hawking’ from branches. 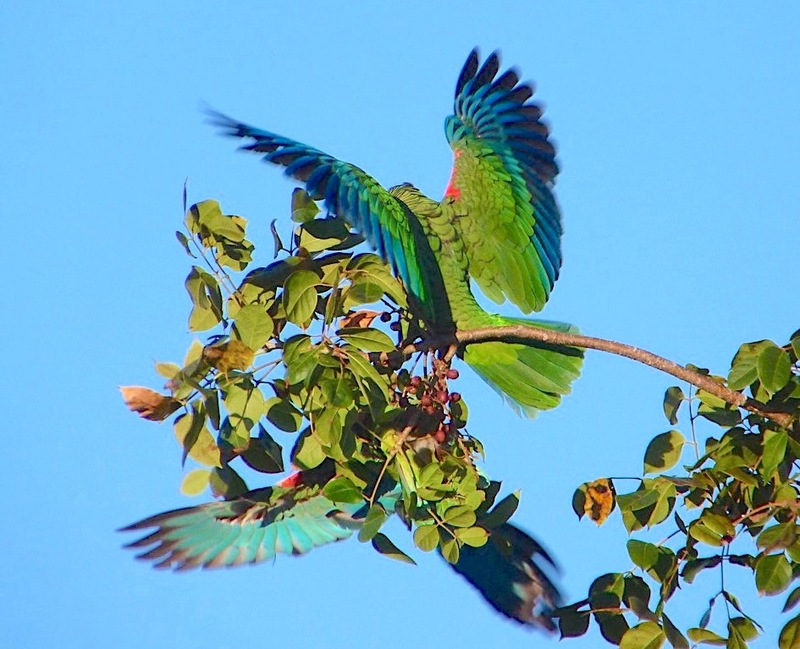 However these birds also eat berries and seeds. 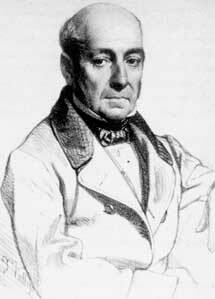 Their call is a high pitched single or double noted sound described as ‘wink’. Here’s a Bahamian example. The LSF’s natural habitat is coppice and rough scrubland. 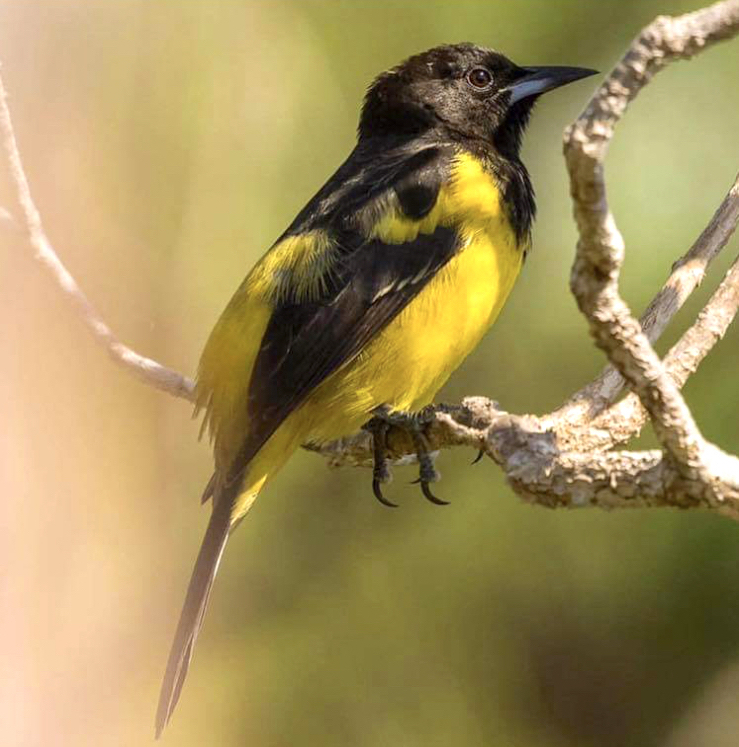 It builds its nest in a tree cavity or similar natural hole, and usually lays a clutch of two to four eggs. 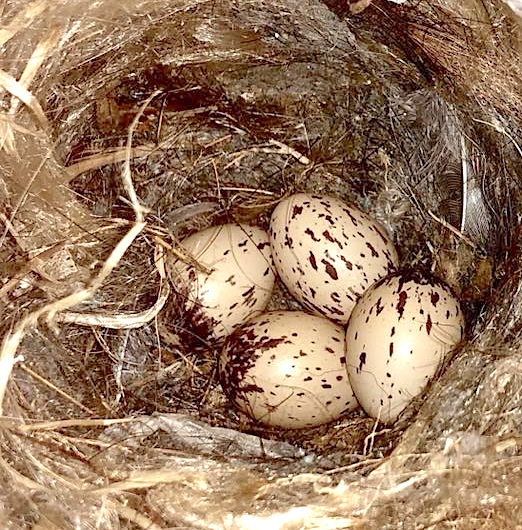 And this morning by coincidence, Abaco birder Rhonda Pearce posted a photo of a LSF nest with its eggs. 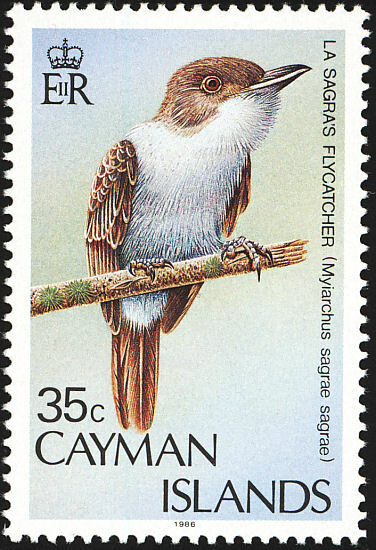 To continue with the occasional PHILATELIC theme of this blog, here are stamps from the Cayman Islands and Cuba featuring the La Sagra’s Flycatcher. 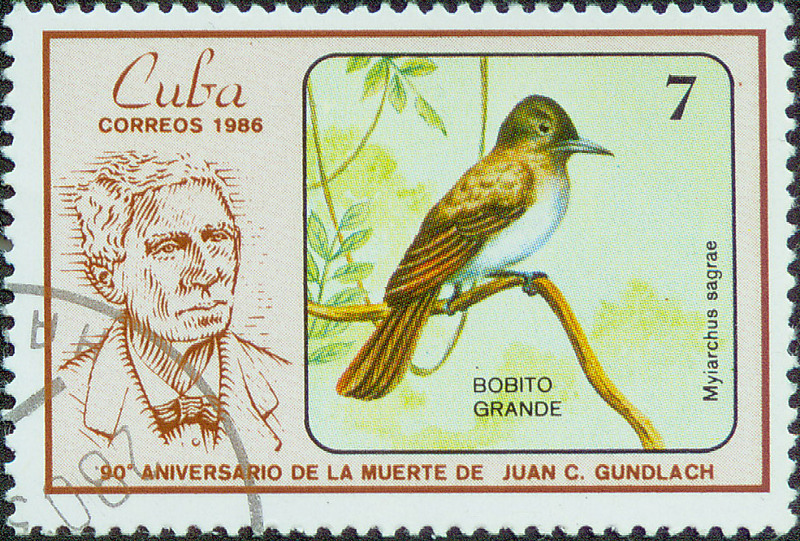 The Cuban stamp commemorates the death of Juan Gundlach, the man who chose La Sagra’s name to bestow on the LSF. The colouring is… somewhat unrealistic! 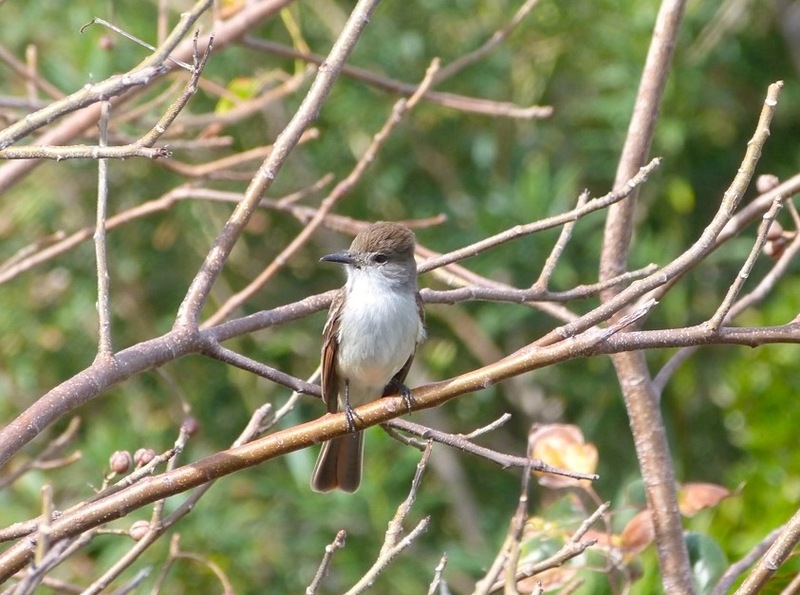 This entry was posted in Abaco, Abaco Birds, Abaco Wildlife, Birding Abaco, Caribbean Birds, Conservation Abaco and tagged Abaco Birding, Abaco Birds, Bahamas Birds, Keith Salvesen Abaco, Keith Salvesen Photography, La Sagra Abaco, La Sagra Bahamas, La Sagra's Flycatcher, Myiarchus sagrae, Ramón José de la Sagra, Tyrannidae Bahamas, Tyrant Flycatcher ID, Tyrant Flycatchers Abaco. Bookmark the permalink. 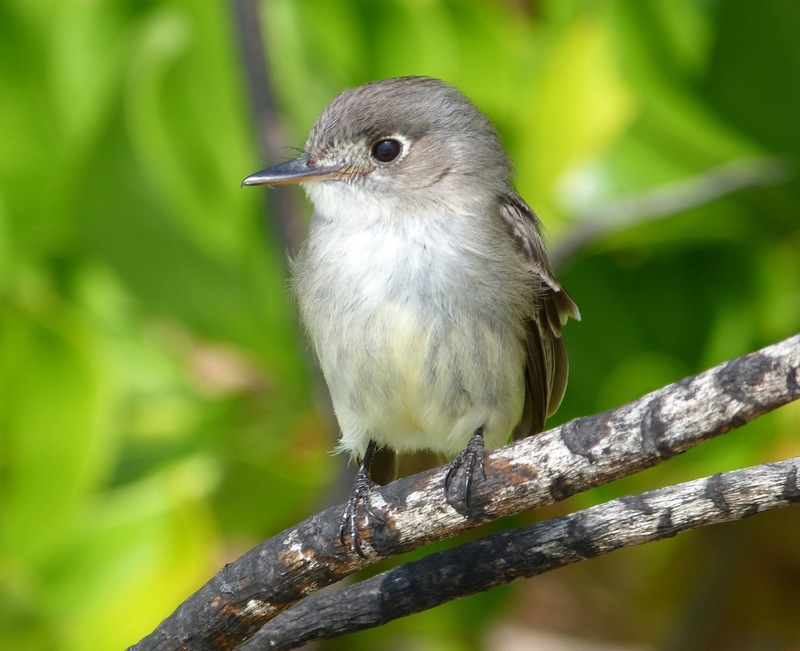 Oh the Pewee is adorable! 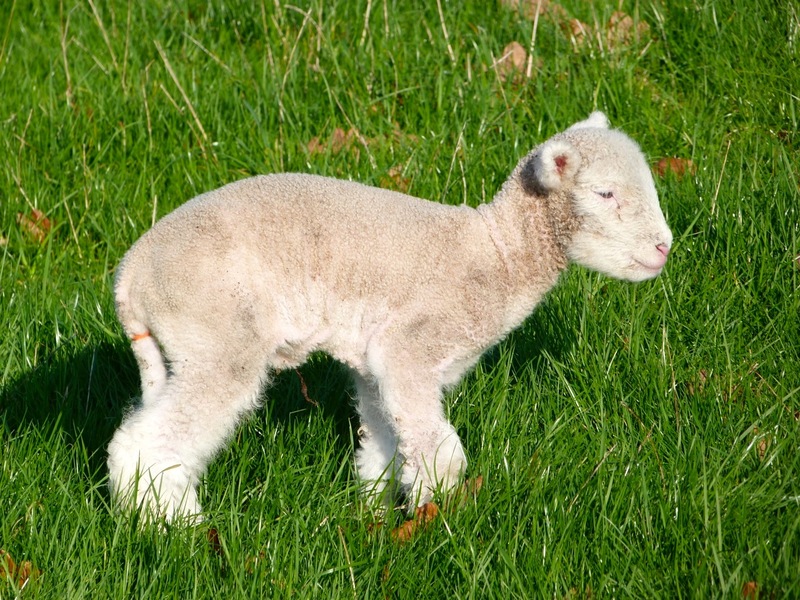 My favourite too – it let me get (v slowly) to within about 6 feet, as curious about me as I was about it… then I crept away without disturbing it.